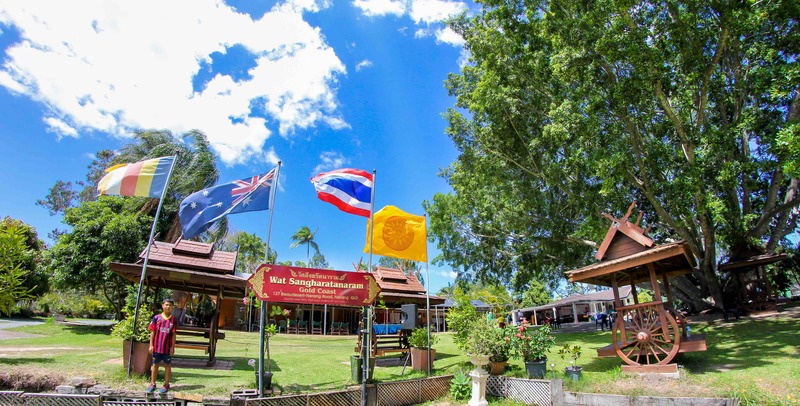 ROYAL KATHINA CELEBRATION | Wat Sangharatanaram Inc.
ROYAL KATHINA CELEBRATION – Sunday, 18 November 2018 arrive 9:45am for 10.00am start. You and your family are cordially invited to join in the merit-making being offered at Wat Sangharatanaram Temple, 137 Beaudesert-Nerang Road, Nerang on Sunday, 18 November 2018 commencing at 10:00am. 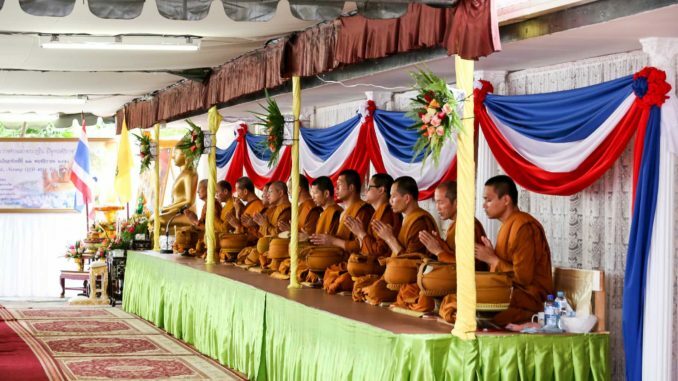 according to one’s faith and means to help build and support this temple to the Buddhist religion. Through the action of all the merits you have accumulated in the past, may the power of the Triple-Gem and all that which is holy and sacred in this world, predestine you and your family to experience steadfast happiness, prosperity, intelligence and wealth, along with the four-fold personal blessings of long-life, pleasant appearance, happiness and good physical health. May this be so forever. 10:00am Paying respects to the Buddha, Dhamma and Sangha of monks. Requesting and resolving to maintain the precepts of moral restraint. 10:30am Monks walk and receive alms food placed in their bowls by the lay people. 11:00am Offering of other food to the monks. The monks eat their pre-midday meal. 11:30am Lay people eat free food provided by food stall donors after the monks commence eating. 12:00pm Performing the ceremony of offering the Kathina Robes to the monks. The monks give their blessings for rejoicing and sprinkle lustral water. The close of ceremonies. 1. PARK-AND-RIDE for free from the GCCC Nerang Council car park, 833 Southport-Nerang Road (less than 2km away). FREE shuttle buses run EVERY FEW MINUTES between the Council and Temple. 2. PARK at KOOL KIDS NERANG, 141-159 Beaudesert-Nerang Road, which is only 100 metres further away on the same side of the main road, and then walk to the temple. 3. On-site parking for food stall donors is near the food stalls. On the hard-stand, parking is prioritized for those with medical conditions, women with small children, the elderly, the function hosts and formally invited guests. 4. Limited parking is available inside the temple. For general visitors arriving after 9.30am, it is NOT LIKELY there will be any space for you within the Temple grounds. 5. Parking is still not permitted in any of the surrounding streets by the GCCC for any visitors coming to the Temple, due to safety and for nuisance to neighbours. You are most welcome to come to the Temple to join in the event and to make merit according to your faith and means. Please add to your merit by having kindness towards the volunteers helping you, by following their directions.